Take Highway 9 north to Canora. Before entering Canora, turn right (east) at the intersection of Highways 9 and 5. Go approximately 1/4 mile. The Church is on the south side of Highway 5. Take Highway 5 West to Canora. 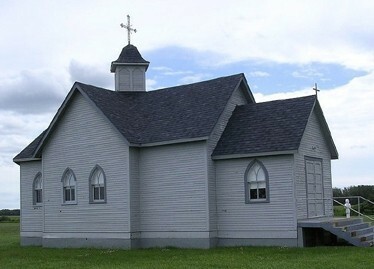 Gi 63.5 Kilometers, and the Church is on the south side of the road, just before entering Canora.